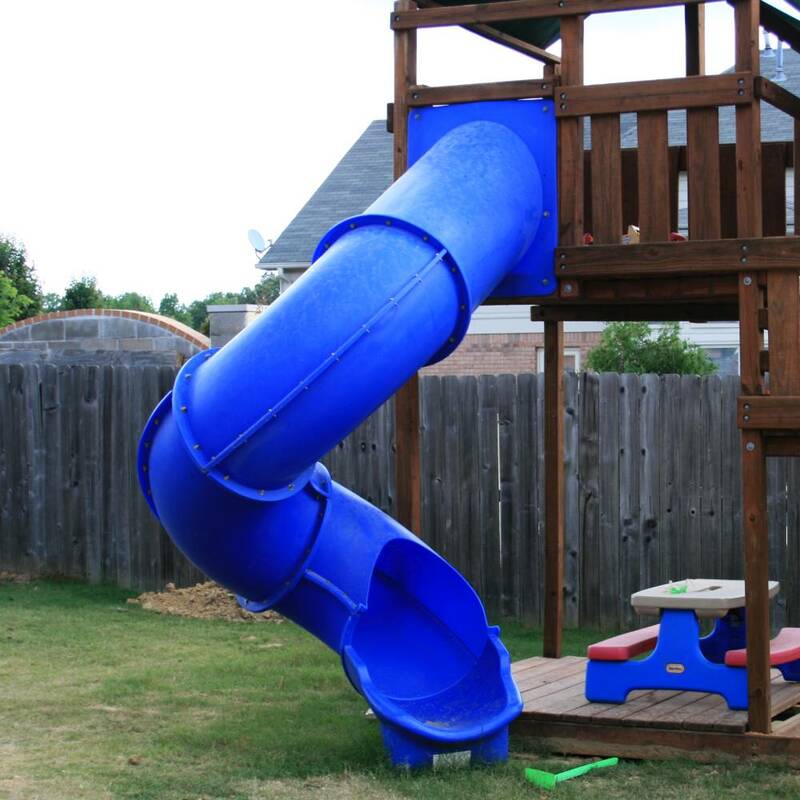 The Super Tube Spiral Slide allows you to upgrade your child's play system to include this impressive 220+ degree tube slide. Sometimes it is called Twisty, Helix or Helical Slide. Its designed to mount to a 7-foot deck height and with the use of additional 90 degree turn inserts, it can grow taller to accommodate an 8ft, 9ft or 10ft deck. 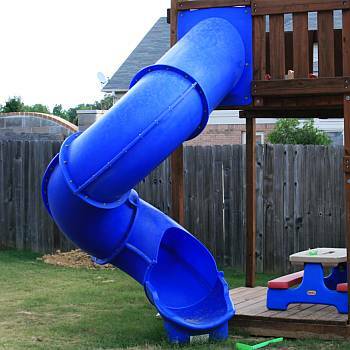 This Super Spiral Tube Slide is designed to last and provide years of enjoyment. It is easy to install and makes a great addition to any Swing Set Fort deck or most any wooden playset platform. 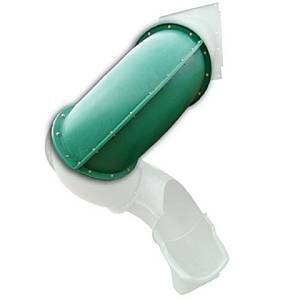 This spiral slide is rotationally molded with Highest quality polyethylene, UV stabilized and anit-static inhibitors like most commercial grade slides. The walls are 3/16ths inch thick, nearly 2 times thicker than most other residential spiral slides. Additional middle sections can be added for increased deck heights. Each section raises the required deck height by about 1 foot. When adding middle sections, some rotational adjusting can be done to fine tune it to match the actual deck height. By design, some drilling of new holes may be required for exact placement of bolts. Alternatively you can build up the area under the base with a mixture of soil and/or patio stones so the base of the slide is firmly seated. To the best of our knowledge, there are NOT any other residential spiral tube slides above 7ft high decks. There are plenty of Commercial slides starting around $5,000+.